Flowers lillies, gerbera, alstromeria. 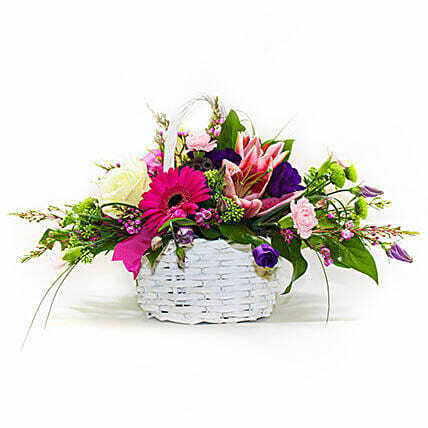 Arrangement type; basket in oasis. Basket container may vary.